Literal meaning is important here, and names are not chosen frivolously. Leste means ‘east’ in Portuguese. In the local language, Tetum, Lorosaé means ‘east’ – literally ‘sunrise’. For those of you familiar with Bahasa, the main language of Indonesia, the word Timor can be translated as, well, ‘east’. Just keep heading towards the rising sun, one day you will eventually arrive at the shores of this rocky, dusty, mountainous island just off the northern coast of Australia, at the very tail end of the Indonesian archipelago. It’s definitely a long way east. When I told my family, friends, and prior employer that I would be spending my Kiva Fellowship in Bali, I got a lot of rolling eyes, good-natured ribbing, and questions about my surfing ability. Fair enough. Instead of working on my tan, I am working in Jembrana, Bali’s poorest and most sparsely populated kabupaten (regency), which is situated on the northwest corner of the island and five hours from the nearest tourist. Both nightclubs and surf shops – not to mention grocery stores, rentable housing, and taxis – are nowhere to be found. Though 93% of Balinese practice Hinduism, my village, Blimbingsari, happens to be the one Protestant village in Bali (the other Christian village in Bali is the neighboring Catholic village of Palasari). Blimbingsari was founded in 1939 when Dutch colonists, worried that ardent Christian converts were creating tensions with Balinese Hindus, banished the island’s Christians to the uninhabited west of the island. In Blimbingsari, the gereja (church) is the physical and soul center of town: on a typical Sunday, 500 of the village’s 600 residents turn out for mass. Though Blimbingsari was formed by a group in exile, the residents – the children and grandchildren of village founders – remain proudly Balinese. 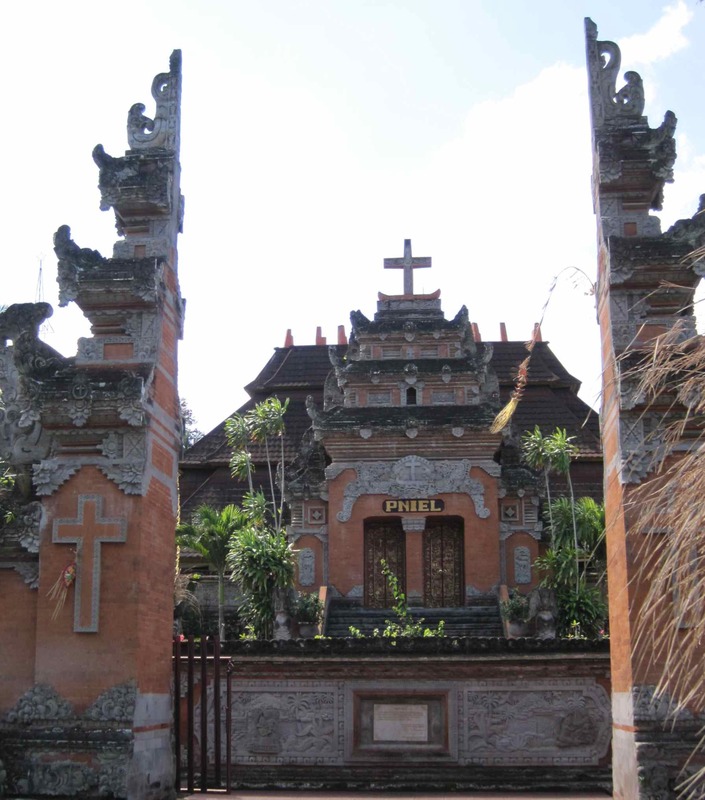 Traditional Balinese garb is go-to attire for mass, and the church is built in the distinctive ornate style generally attributed to Balinese Hindu temples, the giant cross on top one notable exception. The Blimbingsari-based MFI Mitra Usaha Kecil (MUK) is my host organization, and we open each day with hymns, bible study, and prayers for the success of MUK clients, programs, and partners (including Kiva!). Though a Christian organization, MUK has clients of all faiths, which reflects a “live and let live” attitude towards religion common among Indonesians, but which might run counter to many Americans’ opinions of Indonesia, the world’s most populous Muslim nation. MUK was founded as a cooperative in 2008 and its member-borrowers receive 20% of profits as dividends at year-end. Without cliché, MUK operates like a family; the cooperative’s first board was made entirely of employees, most of who were raised in Blimbingsari and remain residents today. Because of cautious growth, small scale, and high social cohesion in the community, MUK exists in a rarified space among MFIs in that they have, to date, never collected collateral (some individual loans are collateralized, group loans are not). The cooperative structure has limited imperatives for growth and MUK operates without commercial funding. Though Jembrana is remote, “access to finance” could hardly be termed “poor”. The explosion of retail banking and consumer credit that has resulted from Indonesia’s strong half decade of economic growth has brought national banks as well as several MFIs, cooperatives, and a government bank to the Jembrana area. These banks offer group and individual loans, but government loans involve endless bureaucratic hurdles, while some of the cooperatives collect 73% (APR, before fees) interest, and many require collateral. MUK offers both group and individual loans at comparatively low interest rates, but MUK’s true differentiation and value to the community is in specialized livestock loan products. MUK’s most unique product is the Kelompok Babi or Pig Breeder Group. Across Bali, men support their families through farming, manual labor, small businesses, and other trades. 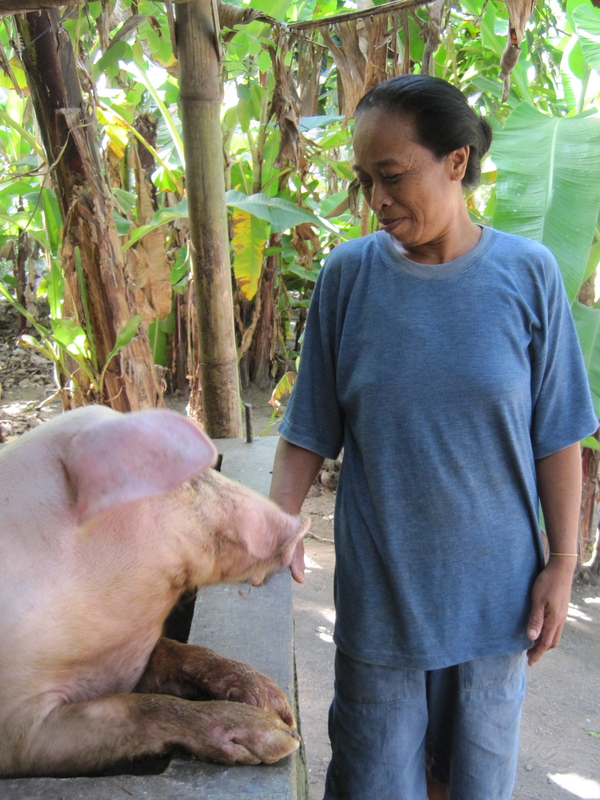 In addition to participating in many of these productive activities alongside their husbands, many Balinese women supplement family income – under $1.25 PCI/day for many Jembrana families – by informally raising one or two pigs in their yard for sale to the local butcher. (Babi guling, or suckling pig, is a Balinese delicacy.) MUK identified that, with capital, these women could scale up their pig breeding activities and earn more money for their families. MUK’s Pig Breeder Group Loan Program forms groups of ten female neighbors, each of whom gets 1M IDR ($117 USD), lent at 18% interest (APR, ~34% after fees). Typically, women buy two piglets for around $60, and spend the rest of the money on pig food. They sell the pigs five months later to a butcher for around $190, yielding an excellent return and substantial increase in familial income over farming or running a kiosk. Unlike most microloans, which rely on a high-touch repayment schedule with group meetings every week, Pig Breeder clients have one repayment at the end of the six month term, only after they have sold their pigs. Most group members say they will use increased income to improve their houses, pay school fees, and buy motorbikes to use in their families’ businesses. Earnings, plus their next loan, also go towards buying more pigs. The hope is that after several loan cycles, women will be raising four or five pigs. Given the return, why wouldn’t more banks and cooperatives in the area cater to this common productive activity? The amazingly low default rates seen in microfinance are often attributed, at least in part, to the high-touch microfinance practice of weekly repayment meetings. This repayment schedule clearly does not mesh with a livestock breeding cycle, in which clients make an upfront investment in the animals, but do not see returns for several months. Well, though no small business is a sure thing, livestock are especially risky because the asset can die, almost certainly resulting in default. Microfinance institutions are justifiably uneasy with lack of diversification in local rural economies, and subsequent lack of diversification in their portfolio, particularly when a large fraction of borrowers might be subject to covariant risks like drought or flood. Microfinance institutions generally look for years of experience in a given business as a mark of credit-worthiness, so MUK’s clients could be seen as a risky proposition because they have not formally raised pigs before. Though livestock and crop insurance – a topic beginning to garner interest in the microfinance community – is not feasible for MUK, they have come up with some innovative services to ensure the continued health of the groups’ pigs and – by extension – MUK’s loans. First, though MUK’s Pig Breeder clients do not repay until the end of the loan, check-ins do ensure funds are not diverted: field officers visit clients one month after disbursement to ensure they have bought pigs, and one month before repayment, to ensure that pigs are healthy. In addition, there are monthly meetings at which members discuss progress and add small amounts of $1-2 to voluntary savings accounts. Though all MUK clients receive training on household budgeting, training women in more professional pig raising methods is the primary goal of Pig Breeder Group wrap-around services and the way MUK ensures clients will be successful. Before joining the program (and usually through her first loan cycle) a woman might allow her pig free roam of the yard and feed it banana-tree-stalk pulp. Conversely, in her second or third loan, the woman might build a metal or bamboo cage for her pig and feed it more modern animal feed. If the former sounds like a recipe for organic, premium priced, free-range pork, think again. 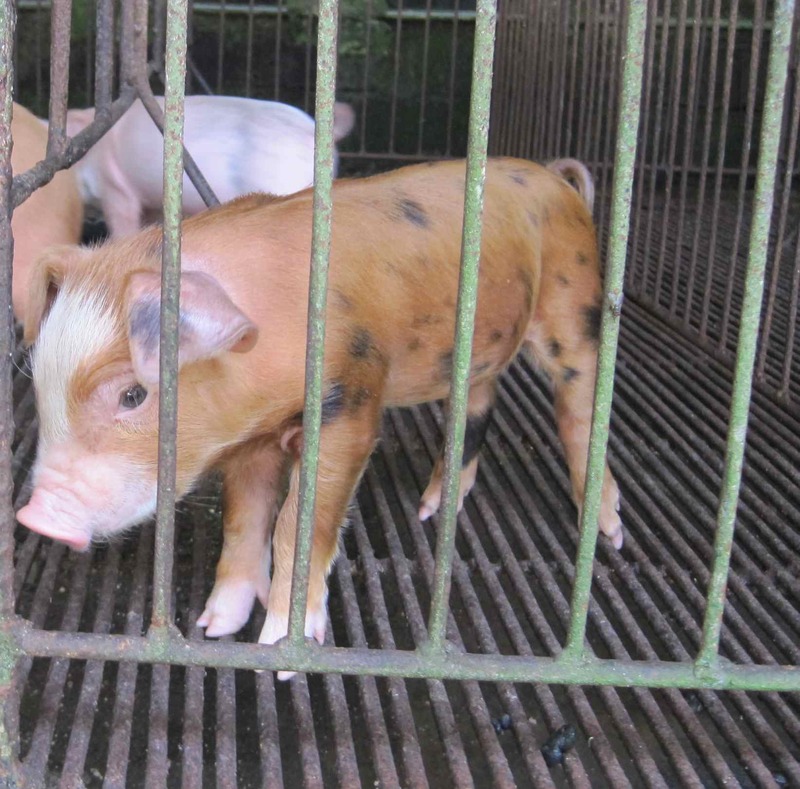 Un-caged, the pigs can wander around, eat garbage, and become sick; moreover, their banana tree diet is low in nutrients and will limit the size of the pigs. Pigs are less likely to live to sale, and also less profitable when sold using this more primitive methodology. Therefore, to foster a change in method, MUK’s staff veterinarian visits villages and gathers borrowing groups together for training. Rapid change in generations old practices is not the goal; the aim is gradual behavioral modification over the course of multiple loan cycles. As an additional “insurance policy”, if a pig gets sick, the vet makes house (or sty) calls with vitamins and medicine. No client in the program has ever lost a pig. MUK’s Kelompok Babi program is an example of the power of microfinance to not only deliver loans to the underserved, but to also meet clients where they are with pragmatically designed products. This program – and, I am sure, innovative programs at many Kiva partners – delivers a product that is highly tailored to the productive activities of the community, and supports clients, loan cycle after loan cycle, in their success. 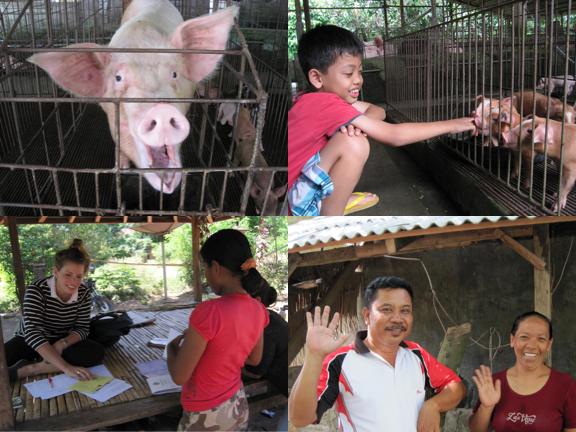 To learn more about Mitra Usaha Kecil, please visit MUK’s Kiva Partner Page or join the MUK Lending Team to support some great women (and great pigs). In addition to a second loan, successful group members are eligible for participation in MUK’s pilot BioGas program – BIRU – which will be the subject of a future post. For more information, please visit Microfinance Gateway’s Rural and Agricultural Finance library. 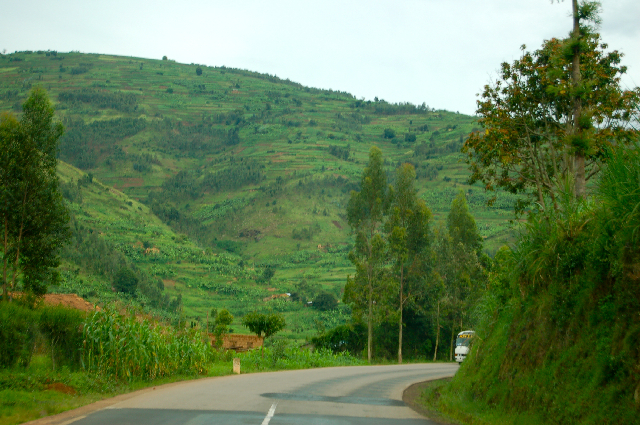 Here are five things I would never have known if Kiva hadn’t provided me with the opportunity of living and working in Rwanda…..
Microfinance is a powerful development tool, but by no means the only one. In southern Zambia, Empowerment Microfinance Institution combines the power of microfinance with a crop warehousing program to help small-scale farmers weather seasonal price fluctuations. Have you ever wondered what Kiva Fellows really do on a daily basis? On the menu of the end of this week: new profiles, client waiver, training. Working with loan officers and Kiva Coordinators.